Modern security cameras are cheap and easy to set up. Because they only need wifi and power, you can place them pretty much anywhere around your home or office with little hassle. But where should they be placed? 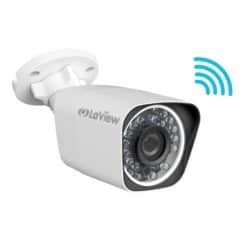 In this article, we’ll go over some tips to help you get the most out of your security cameras and ensure that you catch any intruders or misdeeds. Security cameras are cameras. In order to get a good picture, you need to follow basic photography rules. 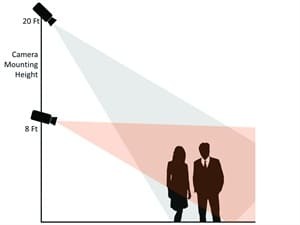 It’s especially important to get good light for security cameras — while a backlit silhouette might look good on Instagram, it’ll make it really hard to identify an intruder. When possible, try to set up your camera so that the biggest light source is behind it. A lot of the time, you won’t be able to do this: when you’re trying to cover a window, for example. In these cases, mount the camera at an angle to the light. Take some test footage in various lighting conditions (indoor lights on and off at various times of day) to make sure everything works. For indoor cameras, consider leaving on a nightlight or put a light on a sensor to keep cameras effective at night. The illumination might deter intruders entirely if it catches them by surprise, but even if they stick around you’ll be sure to get lots of good footage. Your best shot of a burglar will often be when they saunter up to the front door to see if anyone’s home. Having cameras that look outside the main entrance and major windows will give you a great view of anyone peeking inside as well as anyone breaking in. 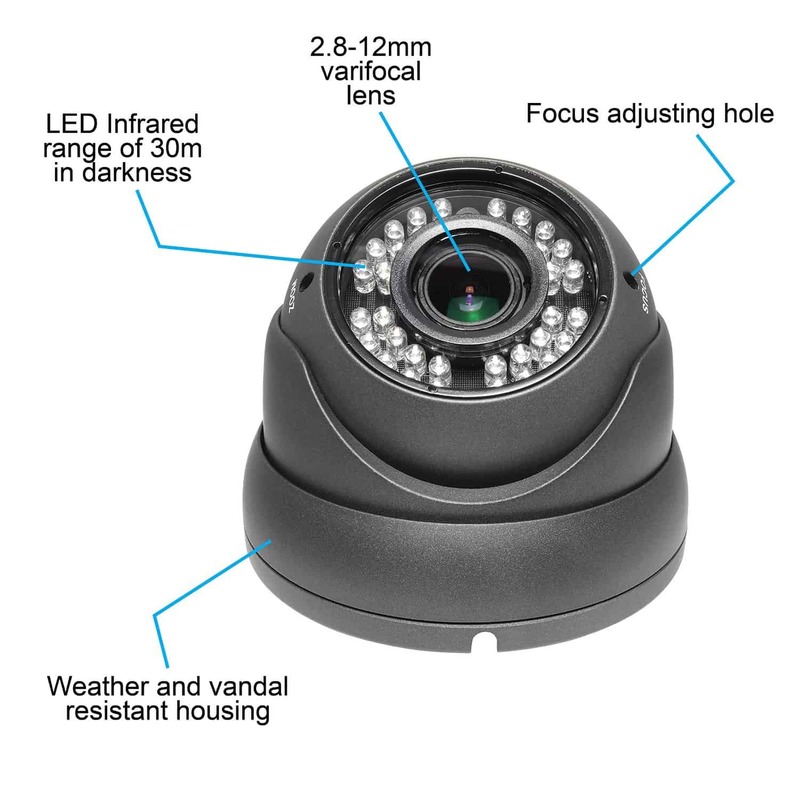 Be extra mindful of the light with outdoor cameras — remember that the sun’s position doesn’t just change based on time of day but with season as well. It’s important to cover inside each door as well. By getting a shot of everyone entering your home or office, you can determine who entered your building legitimately when something goes wrong. This information can be invaluable at piecing together events should something happen. It’s not very useful to get footage of an intruder if you can’t identify them. Having cameras more or less level at head height ensures that you’ll get the correct angle to see someone’s face. Try placing cameras on top of bookshelves, doorways and filing cabinets. Testing is useful — once you’ve got the cameras set up, enter your building and rummage around in any place you’d want to protect. Look at the footage to see how visible you are and make any necessary adjustments. There are a lot of things to consider about what camera to place where. Night vision cameras don’t work very well behind glass, for instance — infrared light doesn’t penetrate through windows very well. You’ll want to use these outside, if at all. Understanding the resolution and field of view of your cameras can help you determine how many cameras you need to fully cover a backyard, parking lot, or large hall. Finally, understanding how much light your camera needs in order to make out people allows you to set up lights on a sensor or leave just enough illumination on at night that the camera can still see intruders. Hidden cameras are useful for getting good shots of hooligans — if they don’t know the camera is there, they can’t avoid it. Visible cameras can convince them to be hooligans somewhere else. 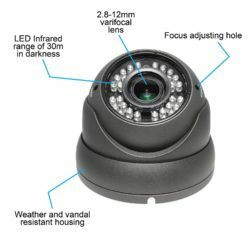 Placing cameras outside can totally deter any shenanigans, even if the cameras aren’t connected or real. Just because your router says it has a range of a thousand yards doesn’t mean you can put cameras anywhere on your property. Walls do a pretty good job of dampening wifi signal, and some appliances (microwaves in particular) have a habit of messing with the signal. After you’ve set up your cameras, review the first day of footage to look for any drops in connectivity and coverage. You may need to add a wireless bridge or even an additional network to carry the traffic from your cameras without interfering with other network users. While you can get some pretty nifty features from advanced cameras, you don’t really need much. Resolution isn’t too important for cameras that don’t cover much space — as long as you can make out the face and clothing of a subject, you don’t need much else. Features like night vision often aren’t necessary for most of your cameras. While you might want an IR camera or two outside, you probably prefer having light indoors to get a good view of an intruder’s face. 1. 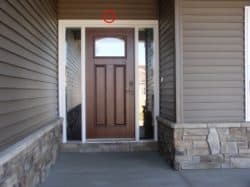 The Front Door – One-third of all burglars enter through the front door. According to a survey by Nationwide Insurance. 2. The Back Door – After the front door, the back door is the second most common entry point exploited by burglars. 3. Near Windows – As many as 23% of burglars enter through first-story windows, according to Hanover Fire & Casualty Insurance Company. 4. The Backyard – Not all thieves will break into your home. Some will quietly steal valuables from your backyard. 5. The Garage – Criminals gain easy access to garage doors using coat hangers and wires. This is a common point of entry. A burglary is estimated to occur every 13 seconds in the United States. More burglaries occur in the summer than in any other season. The FBI reports that home invasion is the most persistent threat to homes. Only about 13% of burglaries are ever solved, due to lack of evidence. Two-thirds of all burglaries are home break-ins. Most break-ins occur during the day, during work and school hours.